Sick of being a pack mule? Think you need 30 pounds of stuff for a weekend backpacking trip? Traditional backpacker who wants to lighten up? Then this doc is for you! Lightening up does not have to be expensive or painful. Originally written in 2003. Updated Feb 2013. My grandmother was a great cook. She passed on in 2009, but those Sunday dinners she cooked growing up will always live on in my mind. The equipment she used would make a Martha Stewart wannabe sneer. There were no finely crafted mahogany pepper crackers. No stainless steel garlic presses. No imported cheese tongs. Just few spoons, a good knife, some pots and pans. Yet the food Grandma cooked was delicious and would cost you $20+ a plate at those restaurants that specialize in “Rustic Style Italian Cooking”. In the same way you don’t need a lot to enjoy the wilderness. Backpacking is a past time that is about simplicity. Getting away from the hustle and bustle of everyday life. Breaking down life into the basic necessities. Not needing the latest equipment to enjoy the beauty around us. Why is it then that a past time dedicated to simplicity has become increasingly more complex? 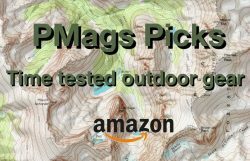 Pick up an issue of most outdoor magazines. What do you see? Ads saying we need this pack with these features to have an enjoyable wilderness experience. Without this jacket, we will get wet and die of hypothermia. If we do not use this stove, we will not be able to cook our dinner efficiently. As a friend of mine said “Pack weight is a factor of fear”. These ads try to make us scared of the outdoors and more gear is packed and “needed” because of fear. Gear has replaced knowledge and enjoyment of the outdoors. In the backpacking world there has been a trend in the last decade or so. Hikers have realized that they do not need to have the latest and greatest gear to enjoy the wilderness. That gear that is burly enough for Everest is overkill for most of their needs. That a stove made from recycle bin material will boil water for Ramen just as well as a stove that weighs and costs much more. Backpacking is about simplicity. With lightweight gear, backpacking can be simple again. And with lightweight gear that simplicity, backpacking is no longer a burden to endure but a way to enjoy the wilderness. As the title of the document implies, it is for those who have done traditional backpacking and want to lighten up their weight with some lightweight backpacking techniques. If you are new to backpacking, you may to look at the beginners’ backpacking primer. The way lightening up will be demonstrated is what I call the “happy medium”. A way to get base pack weight (your gear in the pack, minus food and water) to under 20 pounds. It is not the least expensive or the most expensive gear and it is the not lightest or the heaviest gear. It is not for the beginner backpacker and it is not for the person who wants to hike 20 miles (or more) a day in the back country. It is for the average backpacker who sticks mainly to trails and three-season backpacking. In short, it is a document that will let the Joe or Jane Average backpacker who is curious about lightweight backpacking examine their current way of backpacking and find a way that still lets them be comfortable – comfortable in camp, comfortable while hiking, comfortable in all kinds of different situations. You can go lighter than what is discussed here – if you are willing to pare down more gear, spend more money on gear, learn to sew your own or do without. But for now, better to do some pretty painless steps to get down to a more comfortable level with some standard lightweight backpacking techniques. This doc just touches upon some ways of lightening your load. As with most outdoor pursuits, there is no right way of doing things. This doc is not meant to say that my way is the best way, but rather to get you looking at your gear and thinking about what you really need. Not everyone thinks a tarp is the best shelter, but most everyone can agree that a four season mountaineering tent is overkill for the Indian Peaks in August. It should also noted that this document covers lightweight backpacking techniques for three-season (late Spring to early Fall) use. Winter backpacking is another ball of wax completely! Finally, the goal of lightweight backpacking is not to be an extremist but to take only gear that meets your own personal comfort and safety level. As you backpack more those levels may adjust. Or not. Don’t have to be as extreme as some, but try to find some lighter weight methods that work for you. Above all else: Have fun! Myth #1: Lightweight backpacking is new. The old techniques seemed to work fine, why should I change? Lightweight backpacking is not new to say the least. Consider the gear used in the 1970’s. A Kelty External Frame pack weighed three pounds. Down bags were popular and weighed an average of 2 lbs. Thermarest? What’s that? They used foam pads that weighed under a pound. Compare this “outdated” gear to a Dana Designs Terraplane that weigh 7 lbs, a Cat’s Meow at 3 lbs and a standard Thermarest at 2 lbs 11 oz! Myth #2: I will be cold, wet and uncomfortable! Lightweight backpacking is not about sacrificing safety for weight. It is about paring down gear to what is needed for safety and comfort. No more. No less. The first step though is letting go of what you are supposed to need and taking what you really need! Myth #3:Lightweight gear costs too much! Though there has been a surge of mainstream manufacturers making lightweight and expensive (and not so lightweight and still expensive) gear in the past few years, most lightweight gear can be bought cheaply from small makers of gear, made by yourself or bought off the shelf from common “non-backpacking” items. Many people are finding a fifty-cent stove does the job of a $60 stove. Myth #4 But I don’t mind carrying all that gear. I like to be comfortable in camp! Being comfortable while hiking is a wonderful feeling. No achy back, knees or shoulders. You come into camp refreshed and have the energy to talk to your friends. Or you can hike longer if you want to because you are not so tired. I tend to be more comfortable in camp when I am not exhausted. But I am also lazy and a bit of wimp. I don’t like carrying any more gear than I have to. And with modern lightweight gear, therre is no reason to NOT be comfortable while hiking and in camp. The thee items that can make a load heavy and burdensome or light and easy are the sleeping bag, the shelter and the backpack. A good rule of thumb for the “big three” is to have them weigh LESS THAN TEN POUNDS TOTAL.. If you can save weight here, you are doing well! I am a big proponent of down bags. The warmth to weight ratio is incredible. Down bags compress small, weigh less and last longer than synthetics. In the dry climate we have such in Colorado, the issue of a sleeping bag becoming wet is less than back East or in the Pacific Northwest. It is always a good idea to place your sleeping bag in a stuff-sack lined with a garbage bag. A down bag typically will weigh a pound (or more) less than a synthetic bag. A good sleeping bag is the one area where it really pays the best you can afford. A synthetic bag not only heavier and bulkier, but also does not last nearly as long as a down bag. Synthetics, despite the temperature rating , are usually colder than a down bag, too. If you are on a budget, the Ketly Cosmic down bag weighs 2 lbs, 8 oz and comes in a little over $100. It also has received good reviews. Backpacks are an item that most hikers tend to have on the large side. Typically, stores sell packs that are too large for most hikers needs. A pack is like a vacuum, the larger it is, the more gear you tend to put in….the more your pack will weigh. Another alternative is again the small manufacturers who make gear out of surprisingly light and strong material. Most of these light packs make use of a foam pad acting as a stay. Not only do you cut down on weight on the pack because you are not using metal for stays, but also by using a foam pad, you are saving weight on your sleeping pad. For those who needs a more traditional pack with frame support, some manufacturers are even designing lightweight packs with stays. For a quick comparison, take the Dana Designs Terra Plane X(discontinued and now merged into Marmot) . This war horse pack is still considered to be comfortable and the pinnacle of craftsmanship for many. It was also 5800 cubic inches (about the size many people think they need), originally sold for $470 and was 110 oz (6lbs 14 oz!). Compare this pack to ULA Catalyst. This pack is ~4600 CI, is $250 and weighs only 48oz. This pack has much of the support of a traditional pack, too. That’s 74 oz, or a little over 4 lbs 5 oz difference. You can further cut down weight by using a trash bag instead of a backpacker cover. A mere .625 oz vs. 5 oz. A good rule of thumb for packs is no more than ~1 lb per 1000 Cubic Inches (CI). Just by using a few lightweight alternatives, we’ve knocked down the traditional pack load by a little over 7 lbsz. ( 115 oz.) Or almost five days of food. Without getting too radical, a lot of weight was saved. Ounces saved turn into pounds saved quickly. The other two items that most hikers have is a ground cloth and a sleeping pad. Many backpackers typically carry a Therma-rest. Even the “ultra-lite” three quarter length pads weigh 13 oz. Compare this to a foam pad that weighs 10 oz or less. As mentioned, you can use a foam pad to work as a stay with the ultra-lite packs, further saving weight. Foam pads are also much less expensive than a Therma-rest. Those blue foam pads found at XYZ Mart cost $10 compared to a Prolite 3 Therma-rest (full length) at $80. If you cut the pad to a ¾ length, you save 12oz. Yes, cut the pad down. Unless you are tall, you can get a “full length” pad by placing clothes under your head and a the pack at the foot of your pad. Volia! A full-length pad. If you want something a bit more comfortable than a blue foam pad, but does not weigh as much as a Thermarest, the Ridge Rest is a nice compromise. Also, do you really want to backpack in the wilderness with something they sell a repair kit for? I realize that some people need more comfort than this dirt bagger  , so check out this article for more info on sleeping pads. If you are using one of the lightweight tents mentioned earlier, it will probably have a Tyvek floor. This very light and strong material can typically be found at construction sites for free as scraps. It can also be purchased at “Into the Wind” (located on Pearl St in Boulder.) by the yard. If you are using a tarp, Tyvek is strongly suggested. Modern tents do not need ground cloths. Another alternative is a lightweight painters’ drop cloth found in all hardware stores. Not as light as Tyvek, but very water resistantf and durable. The bottoms of tents are much stronger than before and all they do is collect rain anyway. More weight, more money and more water. No thanks! More info on ground cloths. Boil water, make Ramen, eat. Boil Water, cook cous cous, add some dehydrated veggies, eat. Boil water, make cocoa, drink. Look in a backpacking catalog. It is full of gear that is made for backpacking. Stainless steel pots with names like “CoolMountainCookSet”, enough utensils to impress Emeril (BAM!) and stoves great for melting water on Denali. Is an expensive stove needed when all you want to do is boil your water and eat mashed potato buds? A simple aluminum pot with a tin foil lid weighs much less than a stainless steel pot and still can boil water. Alternatively, you can splurge on titanium pots that are comparable to the cost of a stainless steel pot but weigh much less. One of the more innovative designs to come out of lightweight backpacking has been the homemade alcohol stove. Running on denatured alcohol or gas-line antifreeze, these stoves will boil two cups of water in five minutes or so, have been used as high as 13000 feet and in snowstorms. The cost of these stoves? Free!. (Grab the soda cans from the office recycling bin). An MSR Whisperlite is great for melting snow on Denali. But to boil water…do you really need something that heavy and complicated? One ounce of fuel is all it takes to make your Ramen and tuna. Also, alcohol can be stored in a simple plastic bottle. You do not have to use a heavy steel bottle such as would be used for white gas. More weight savings. If you are doing more than boiling water in the backcountry, cooking more than ten meals during resupply , or using the stove for two or more people something like the MSR PocketRocket stove may make more sense. A more thorough overview of the advantages and disadvantages of different stoves can be found in a doc I wrote. For utensils, one large spoon does it all. A bandanna also makes a great pot grip. And just eat out of the pot! Try to make items do more than one task. FoodOf course, a major part of backpacking is food. Food is fuel. Without enough food, the body will not get the calories it needs. You will “bonk”. Becoming cranky, lethargic and not enjoying yourself. The idea is to carry food with enough calories per ounce. A good rule of thumb is to have food that contains 100 calories to an ounce.Olive oil is the champ at 240 calories per ounce. Naturally, a hiker cannot live on olive oil alone (Some would argue that some hikers try living on Snickers alone, though.  )A hiker must have a mixture of fats, carbs and proteins. Gorp (AKA trail mix) is an excellent source for achieving this balance. Dried fruit, nuts and candy provide much of the energy needs required by a hiker. Summer sausage and peanut butter, though heavy, have a high caloric ratio and contain lots of fats and proteins. Of course, with a lighter load, you need less food and therefore will carry less weight. For more info and a detailed spreadsheet of this ratio with some common backpacking food, check out this link. Water Containers. Another item where we have been convinced we need specialized containers to carry water in the backcountry. A Nalgene bottle is heavy duty. But it also weighs a lot! Compare it to a 1-liter soda bottle. Much heavier! Yet they perform the same function. If you are concerned about durability, try a sports drink bottle. Very durable and still lighter than a Nalgene bottle. Again, both a Nalgene and a Gatorade bottle perform the EXACT same function…yet marketing has told us we NEED a special bottle to carry water. A Lexan Nalgene weighs about 6 oz. A Gatorade bottle is lighter (1 oz), less expensive ($1 or so) and comes with a drink! If you are carrying two bottles, you are saving 10 oz. Remember: “Ounces add up to pounds”! And what about water treatment? A Katadyn HikerPro filter is $85, weighs 15 oz and clogs. Aqua Mira is about $15, weighs 1 oz and will treat Crypto and Giardia. While your friend is furiously pumping away on his clogging filter, you can wait fifteen minutes while the water is being treated and enjoy the view. 14 oz saved. Here is some more info on water treatment. Carry enough clothes to be warm and dry. Not enough so you can swap clothes when they smell.  Do you really need five pairs of socks? Are two pairs of shorts necessary? Look at your clothing..take enough to be warm and comfortable. No more. Sun glasses – even the dime store sunglasses have UVA and UVB protection. Never leave home without them. Long Underwear: A little known secret of backpacking clothing: The generic polypro is slightly warmer, lighter and less expensive than the brand name stuff. Why pay more for something that is heavier? The more expensive stuff allegedly does not smell as bad. But after a few days in the backcountry, I doubt it matters! I’ve seen the generic “polypu” in the Army-Navy store and in XYZMart. If you don’t mind spending the money, newer Merino wool base layers are soft and highly adaptable to many conditions while still being light. Socks: Take ONE pair of extra hiking socks. Swap out every day and have the pair you used the day before drying on your pack. I like to have a “sacred stash” of socks I only wear in camp and are always dry. If you are using a light shoe you can use a light running sock. . Some people find that the running socks at Target work well for them, for example. Cold weather head wear: Bring the ever, versatile balaclava. (Not to be confused with the delicious pastry. Mmmm..baklava!) Roll it up for a hat, roll it down for a neck warmer. Wear it normal for increased warmth. A thick polypro balaclava is less than $10. Jacket to wear: A fleece jacket has replaced a wool sweater as the “go to” clothing item for all around use in the past thirty years. But fleeces can be very bulky in addition to being heavy. With a small, lighter weight pack, bulk matters almost as much as weight. Since basic fleece is not wind resistant, many people opt for the Windblock fleece. A Mountain Hadware fleece is 20 oz for a men’s medium. For less money, a person can buy a lined wind shirt. Surprisingly warm, windproof, water resistant, breathable and versatile. I use a Mont Bell Windshirt myself. At 10 oz for a men’s large, it is a favorite piece of outdoor clothing. If you spend more time in camp, something along the lines of Primaloft jacket is suggested. Basically it is a thin layer of synthetic down that is lighter, less bulky and as warm (or warmer than) fleece. If you are on a budget, many military surplus stores , including ones on EBay, will sell what is called a field jacket liner . It will block the wind, is about as warm as the windshirt. A little heavier and bulkier than a wind shirt, but still better than a fleece in terms of weight/bulk.. I’ve seen the liners for less than $15 and as low as $5. Rain wear: I don’t like to call these items rain wear, but rather “wind wear”. So called “waterproof/breathable” membranes end up being neither for most backpackers. Seems you end up getting wet in your own sweat. A nice compromise between a nylon windbreaker and a traditional hard shell are lighter rain jackets that breathe a bit better. Something like the GoLite Tumalo works well as an all-purpose jacket while DriDucks or similar seems to work well for on-trail hiking and budget use. Gloves/Mittens: I’m a big fan of a liner glove/shell mitten combo. I’ve seen various forms of shell mittens. Get something light and unlined. The liner gloves I like to use are wool, military surplus ones. At less than $5 a pair and a little less than 2 oz, they are a bargain. The liner gloves keep my hands warm in all but the coldest weather. With a shell mitten, I have wind/rain protection and little more warmth. If it is really cold out, put the liner gloves inside your extra pair of hiking socks and put THAT pair into the shell mitten. Remember, try to have items do double duty if you can. I find the “one glove does all” theory not too work so well as you are having one item doing everything. Layering is the key to being comfortable in the outdoors. The “one glove” system is also usually heavier, bulkier and (sometimes) more expensive. If you can’t tell already, one of the great aspects of going lightweight is that as you lighten up with one item, you need less weight on other items. Don’t use a heavy white gas stove? You don’t need a heavy fuel container. Lighter and less bulky clothing? Lighter pack that works with a light sleeping pad. Less weight in your gear overall? You can use less heavy footwear. And by using less heavy footwear, you can wear less heavy socks. Still doubtful? Consider the fact every year about one hundred people walk the entire length of the 2700 mile Pacific Crest Trail in trail shoes or even sneakers. The trail goes from desert to alpine snow fields. Hardly any of these “thru-hikers” wear boots. First Aid: As with clothing: Simplify! Carry enough to get you to a road. Some 4×4 gauze pads, duct tape, bandanas, band-aides and your iodine treatment (or alcohol from the fuel) will keep you stable in most emergencies until you can seek professional medical treatment. You don’t need what I call “Kitchen Sink” first aid kits that are typically sold in outdoor stores. Make your own and take just what is needed. Knives: The Swiss Army Classic will cut rope, cut cheese and other common camp activities. Why get a heavier and more expensive knife? Costs $10. Weight? Less than an ounce. Or .625 oz to be precise. The MacGyver special? $70 and about 8.5 oz. I think you can use it to repair a downed plane, though. Compass: Those compasses with a mirror on them (and about a two hundred page manual) work great for adventure races and orienteering meets. However, most hikers, backpackers and general outdoor users seem to do fine with the basic, one-ounce compass for $10. Stuff Sacks: Try using a SilNylon stuff sack instead of a traditional nylon stuff sack. Nylon stuff sacks are about twice the weight of SilNylon sacks. Small plastic grocery bags, Ziplock bags of varying sizes and even Tyvek priority mail envelopes all work too. They are lighter than the traditional stuff sacks. All but the SilNylon bags are less expensive. Duct Tape: Never leave home without this multiuse item! Some people like to wrap some duct tape around their lighter, water bottle or hiking poles. Try to have items do two uses: Duct tape functions as medical tape, a repair kit, etc. further paring down your weight. Hiking poles can be used to set up your tarp as well. Be creative! I can not stress enough….have fun! Remember, there is no right way to backpack. Evaluate your gear, see what you really need and adjust accordingly. The new and improved lighter you! So the gear has been discussed, thought about and weighed. Let’s put it all together and see what happens. This list is for aimed for the traditional backpacker who whishes to go lighter. Call it comfortably lightweight.  The gear is also aimed towards being a little more rugged and versatile than gear used by dedicated long distance hikers. Note: Weights, prices and equipment are based on Google searches from 2013. I have included links to cottage gear makers. The more mainstream gear is generally from REI or similar. Why REI? Because it is the “go to” store for most people when they buy gear and is generally the most accessible for many people. Notes:1. I did not choose to always put the dirt bag option for the gear. Since I’ve been with Mrs Mags for over three years now, I realize sometimes you can’t always be a dirt bagger. 2. Most of these weights came from the Campmor catalog, manufacturer websites and my own weighing of the gear.3. The “Free!” designation usually means something easily obtained in a typical home or office. Most people can get access to soda or beer cans easily. A toothbrush is usually found in the home (At least, I hope so!). 4. Some things on this chart are missing: toiletries, camera, journal, maps, etc. Some of these items depend on the trip, others depend on personal preference and needs . I don’t wear contacts, so I don’t need cleaning solution (for example). I also like keeping a journal. The weight really varies from person to person with these items. Or to put it another way, the 15 lbs you saved is about 7 days worth of food. If you are going on a weekend trips (two days of food) you are carrying a little over 15 lbs. You’ve seen the presentation, you have some ideas you want to try, but you can’t remember half of what I said (don’t worry, I don’t remember half of what I did myself). Here are some more web-based resources to help you in your quest to lighten up! Quality Gear on the Cheap: .You do not need expensive gear to enjoy backpacking. Sometimes the less expensive gear can prove to be a good option. Some additional information I will add is that you should invest in a decent sleeping bag. The Kelty Comic Down bag is known as a good budget bag if price is a concern. If you are really interested in going on the cheap, check out this earlier article I wrote. Need long underwear, hats, gloves, socks, etc? Check out Warm Stuff Distributing (aka The Underwear Guys) . Run, in part, by the well-know thru-hiker Fiddlehead, it features the basics for very reasonable prices. It is mainly surplus, seconds and irregulars. I find this type of clothing is not functionally different from the Patagucci clothing, is sometimes lighter and it is always less expensive. If you are looking for a light, compressible and warm jacket check out an M-65 jacket liner that can be found inexpensively on EBay. (mentioned in the above article, but deserves to be emphasized). If you don’t mind a bit of sewing, you can make a Montbell Thermawrap clone for less than $20 with the above liner jacket. A men’s large comes in at 12oz! Conidering a Montbell Thermawrap is $150 and weights 10oz, the cheap way is nice for those on a budget on who need something warm, light and cheap. Thrift stores:These stores will have lightweight (and cheap!) cook pots, synthetic clothing, windpants and other goodies great for lightening up. Why spend $60 for a cookpot? Army/Navy stores: Where everyone’s Dad bought their first backpacking gear, this gear still works for quite a few things. Most of the stores sell less well known brands for the basics (hats, gloves, underwear, socks) in addition to military surplus. Many times I find that the less well known brands are lighter than their more well known counterparts. Sierra Trading Post: http://sierratradingpost.com Often has closeouts on trail shoes and sneakers. Good deals on GoLite equipment as well. Usually has some good deals on long underwear, hats, gloves and other basics too. REI: www.rei.com Almost always once nearby. They can have good deals on bread and butter gear that is sometimes lighter than traditional gear. Odd ball places: JC Penny..you bet! Marshalls with its closeouts. Dancing supply companies??? Yeppers. You get the idea. Sometimes the best deals are not found at an outdoor store.  Shop around, look and you may find something cool. MontBell: www.montbell.com I really like a lot of their gear. Expensive, but beautifully made and light. Simple but very functional designs. Patagonia: www.patagonia.com Despite it’s nickname of “Patagucci”, Patagonia DOES make some nice pieces of clothing. Their puffy jackets and windshirts in paricular have been getting high praise. Costco: www.costco.com Jars of olives, 50 lb bags of flour..AND high quality down jackets, base layers and socks. Who would thunk it? I think some of the best gear being made right now is by the cottage gear makers. Excellent attention to detail, great customer service, good products. You know it is a small community when you know the people who make the gear.  Here is a pretty comprehensive list. If you have the skill set and the equipment, making your own gear is a great way to make gear that is light, functional and suitable for your needs. Zen Stoves:http://www.zenstoves.net A comprehensive guide to Backpacking Stoves. 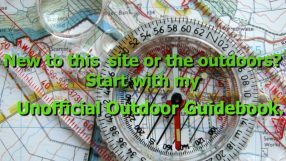 Homemade Outdoor Gearhttp://www.backpacking.net/makegear.html – instructions for homemade backpacking equipment, home made outdoor gear, homemade backpacking stoves, and more. Want to talk gear or find more about it? The sites below should help! Sgt. Rock’s tarp setup: http://hikinghq.net/gear/tarp.html Sgt Rock has the best page I’ve seen for setting up tarps. Backpacking Light: http://www.backpackinglight.com Ryan Jordan’s subscription site that has some of the biggest gram weenies in the world. And I mean that in a good way.  Very analytical and gear focused discussion. Whiteblaze: http://www.whiteblaze.net Excellent site for the Appalachian Trail with much gear discussion. Increasing discussion for other trails. Sometimes an on-hand reference is still the best way to find out about techniques and get new ideas. Trail Life by Ray Jardine arguably the person who helped popularize the current lightweight movement. Though some of his ideas are controversial, his overall thesis is still correct: Go as light as possible. Only take what you need. Going minimalist leads to more enjoyable hiking. What I like about this book is that there is less an emphasis on gear and more on the overall philosophy of going light. Ray Jardine has some very strong opinions and the “Ray Way” is not only way, but the book still makes for some good reading. Lighten Up! a Falcon Guide: A good “meat and potatoes” guide for those who are traditional backpackers and want to lighten up their load. Not as detailed as other guides, but sometimes too much details gets in the way of the overall goal. Basically, start with this book if you want to go from 30 lbs base packweight to 15lbs. 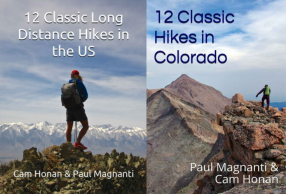 The Ultimate Hiker’s Gear Guide by Andrew Skurka: Less philosohical than Jardine, not as analytical as Jordan’s book and more in depth then Lighten Up!, Andrew Skura’s book is one I think of as a text book for light weight backpacking. A nice overview of techniques for backpacking be it light or otherwise. Andrew makes the point that different situations and trips call for different gear. If you have more questions or comments, please feel free to contact me. Hey man, I was curious if you could answer some questions about the Colorado trail and the gear needed for it to have a really fun and enjoyable trip for me ( and possibly packing for my girlfriend) who I am planning on going but wouldn’t be surprised if she bailed on the trip/. I am making it a fact though that I am going at some point of this year. So on that regard, I have bought The Colorado trail book and have been reading it the past couple days. I would love to get your personal input and expand more on your light weight packing.